What needs to be considered in thinking about IT systems to implement IFRS 17? IFRS 17 will mean major changes for insurers. My previous blog post discussed questions that would need to be considered about accounting and financial impact, as well as how to manage stakeholders. This post considers implementation, and particularly questions about IT. IFRS 17 is not due to come into force until 2021. As we know from experience with GDPR, however, what was once a date far in the future will arrive surprisingly quickly, and with huge impact if you have not done your homework and prepared well in advance. IT implementations cannot be rushed. It would be wise to make decisions with plenty of time. What needs to be considered in thinking about IT systems to implement IFRS 17? I have come up with a list of questions or issues that I think should be discussed. What is the level of aspiration? What is important to you as an insurer? Is it pure IFRS 17 compliance or is it – at the other end of the spectrum – a holistic approach for all internal and external requirements, covering all reporting and regulatory regimes, including Solvency II, IFRS 17 and so on? Many insurers, it seems, are currently aiming more at pure IFRS 17 compliance, but keeping an eye on what can be reused for other needs (e.g., Solvency II). Should you be more strategic in your thinking? What level of standardisation is appropriate? Imagine an insurance group with several units, doing business in several different countries. How much standardisation is required? You could choose a one-size-fits-all model, which would also provide a chance to harmonise and standardise accounting and actuarial processes. Alternatively, rather at the far end of the spectrum, you could implement entity-specific solutions. This might not be the best choice in the long term, but it could be a pragmatic short-term solution. A hybrid approach might also work well in the short to medium term. At the moment, actuarial systems are mostly local, but new IFRS 17 platforms are likely to be centrally implemented, provided by corporate IT. 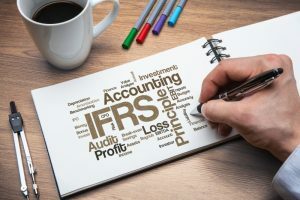 You could say that IFRS 17 is mostly about a central calculation engine and a central process, and it is therefore also too complex for individual business units. Smaller business units in particular would need to learn too much about IFRS 17 and the new requirements. It therefore makes sense for everything to be managed centrally, with common processes. However, there is also an argument for having more freedom for the individual business units to make the process work better for them. The ideal approach would probably balance strong central governance with a certain level of freedom at the local level. At the moment, actuarial systems are mostly local, but new IFRS 17 platforms are likely to be centrally implemented, provided by corporate IT. You also need to decide how you will position the IFRS 17 project. It could, for example, be a trigger for finance transformation. On the other hand, looking at the timelines, perhaps it would be better not to take on too much at the moment. At this stage, insurers should probably concentrate on reworking their financial and actuarial end-to-end processes and leave additional transformation aspects for later. Finally, what would the right project governance model for IFRS 17 look like? And what is the right funding approach? Again, the choice is between very centralised governance or mostly local projects and local budgets, drawing on a central source of information and standards. A pragmatic approach would be to do as much as possible together, creating end-to-end processes across the whole organisation. This will include the IT architecture and changes in the actuarial systems. Communication from stakeholders to analysts should also be handled centrally. The process or the answers? As is often the case with a transformation process, I think that the process of discussing these issues may be more important than the actual answers. This may sound a bit philosophical, but sometimes the discussion process can surface more issues and tensions, and it is these that must be resolved. It takes time to get a system in place for such a major change – but a good part of that time must be spent deciding on the right approach. Without that, chaos is likely to be the result. This blog post is also published in German on the regional blog site Mehr Wissen. As Principal Industry Consultant in the Risk Research and Quantitative Solutions Division at SAS Institute, Thorsten Hein specialises in global risk management operations insights both in banking and insurance, focusing on Risk and Finance Integration, IFRS and Stress Testing. He helps risk management stakeholders to go beyond pure regulatory compliance and drive value-based management to maximise business performance. By applying experience from more than 20 years in Business Intelligence and Analytics, and supporting Financial Services and Risk Management, he ensures business relevance as well as technical coherence. Thorsten Hein joined SAS Institute already in 2004. Previously, he has been working for more than ten years for renowned providers of business intelligence solutions. Having started his career at the headquarters of Allianz Insurance in Germany, from the very beginning his main focus was assisting companies in the financial services industry in improving their processes and systems.